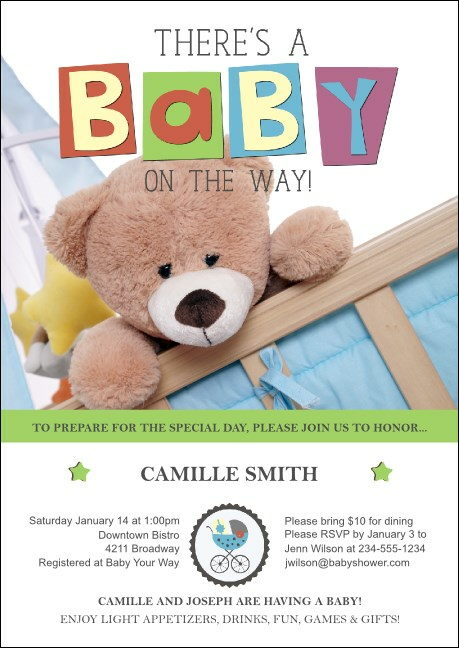 Enjoy a mailing with mirth when you send the Baby Shower Teddy Club Flyer! Spread the joyful news in soothing shades of red, yellow, blue, green and purple. A discerning look from the cushy teddy bear transmits conscientious warmth to the soon-to-be celebrants. Achieve club flyer perfection with TicketPrinting.com.